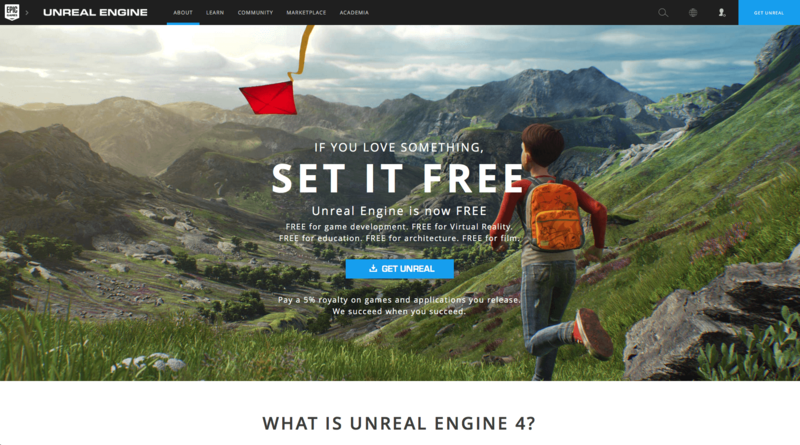 In this post, you will learn how to download Unreal Engine 4. Unreal Engine 4 is completely free and comes in two flavours: the launcher version and the source version. Once we have downloaded both versions of Unreal Engine 4 we will create our first project and begin familiarizing ourselves with the UI. As of March 2, 2015 Epic Games has made Unreal Engine 4 available to everybody for free. You can get Unreal Engine 4 including all future updates plus official support. If you wish to learn you have complete access to the official documentation and tutorial videos. Even the complete C++ source code of the engine is available. 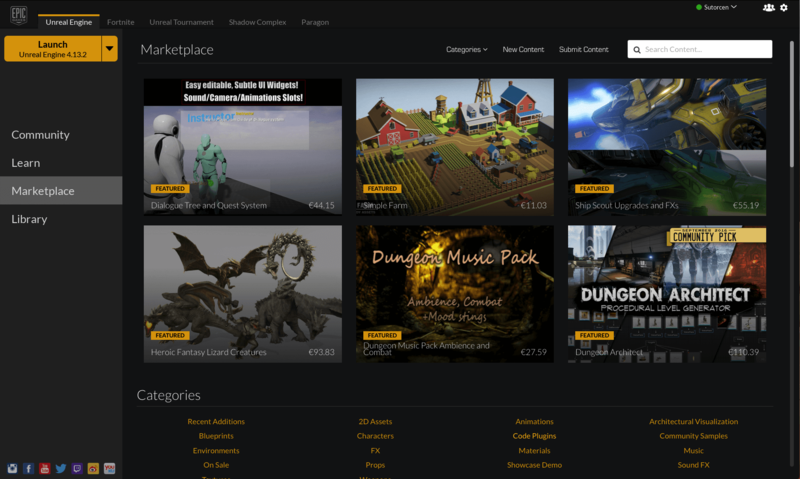 You also get access to the Unreal Engine 4 Marketplace, where you can get commercial content professionally crafted from the community. There is also free content, including assets form the Infinity Blade Series. This the place to sell your own creations, if you wish so. • Launcher (binary) version: This version is compiled by Epic Games and is available through a launcher. When you download this version you also get the all the source files (the files with an .cpp extension), but since they are already compiled you cannot make any modifications to the Unreal Engine yourself. • Source version: This version does not contain any binary files meaning you have to compile the Engine yourself. You can download the entire source code from GitHub and modify the Unreal Engine to your heart’s content. You can modify existing features, add new Engine ones or remove those that you might not like. If you think your added modifications are noteworthy you can create a pull request on GitHub. If Epic Games deems them worthy, they will integrate them officially into a future version of Unreal Engine. What is a pull request? Pull requests let you tell others about changes you’ve pushed to a GitHub repository. In this case the Unreal Engine 4’s source code is a GitHub repository. Once a pull request is sent, interested parties (Epic Games in our case) can review the set of changes, discuss potential modifications, and even push follow-up commits if necessary. So what do you say, we go and see how you can get both versions? 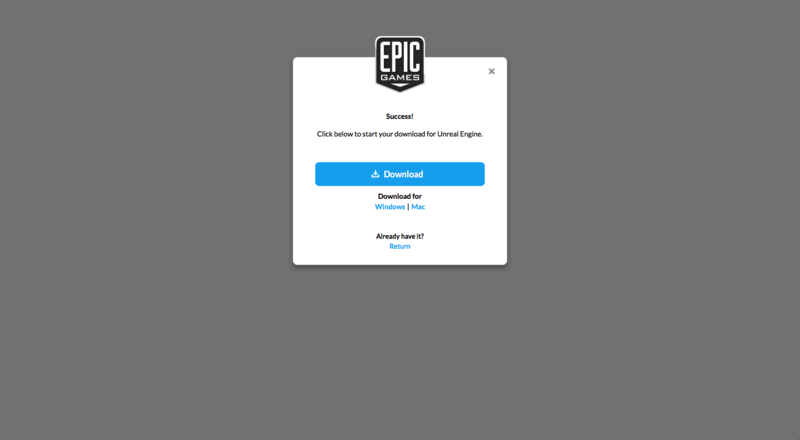 To get the launcher version of Unreal Engine, you need to download the Epic Games Launcher. 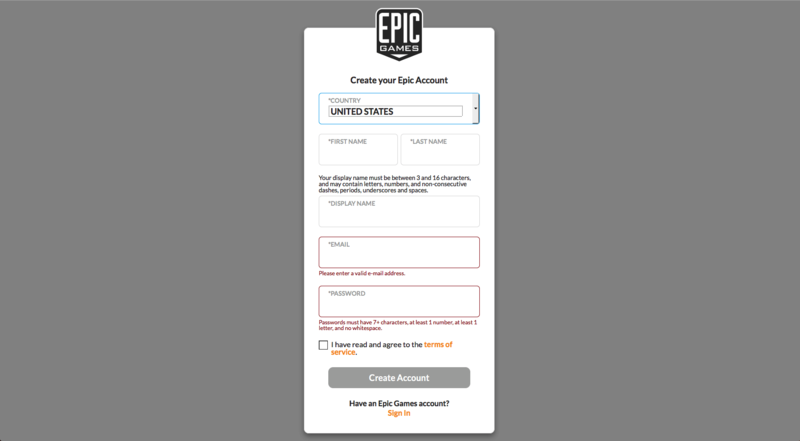 But, to do that you must first create an Epic Games account. Once you reach the site, click on the upper right corner where it says get Unreal. 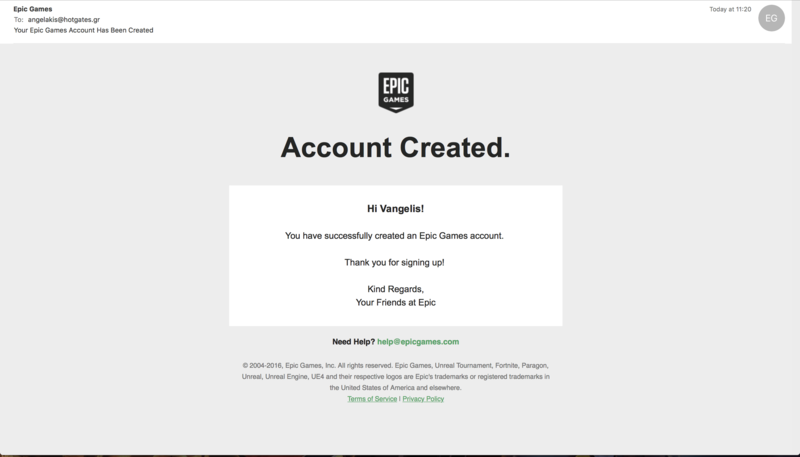 If you already have an Epic Games account you have probably already signed in. If you haven’t you will be greeted with an account creation form. Fill in your information, click on the check box if you agree with the Terms of service (always read them). Once finished click on the grey button at the bottom that says Create Account. When this stage is completed you will receive a confirmation email by Epic Games. 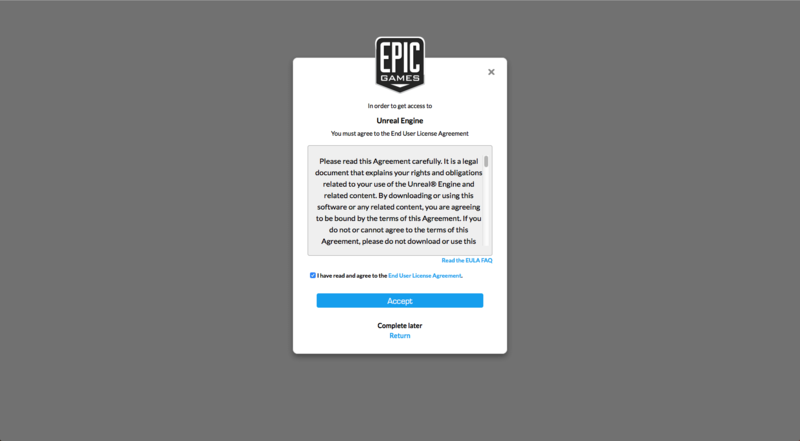 In order to gain access to Unreal Engine 4 you will need to confirm whether you agree with the EULA (End User License Agreement) or not. After that step is completed, the download window will appear. No matter what OS you are using you will get the correct installation package. Click the big blue Download button. Go on, you know you want to. Double click on the .exe file and follow the on screen instructions to install the Epic Games Launcher. Double click the .dmg file. 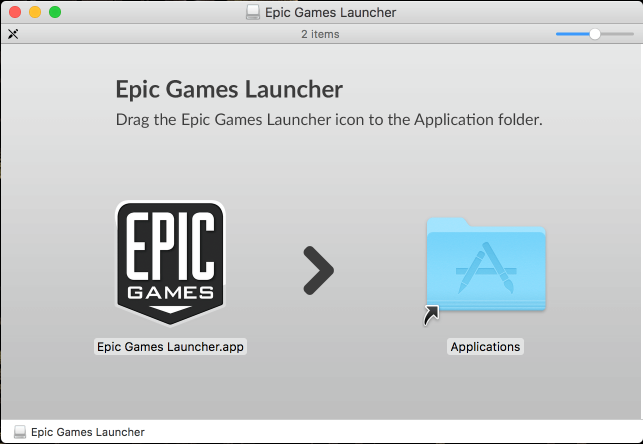 Once that is open simply drag and drop the Epic Games launcher.app to your Applications folder. With the installation completed it is time to launch the… Epic Games Launcher. 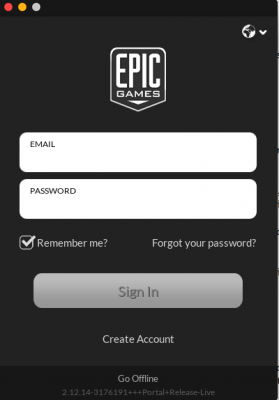 The first thing you will see each time you run the Epic Games Launcher is the Sign In screen. Enter your sign in information and check the “Remember Me?” option if you want the launcher to remember your information each time you run it. 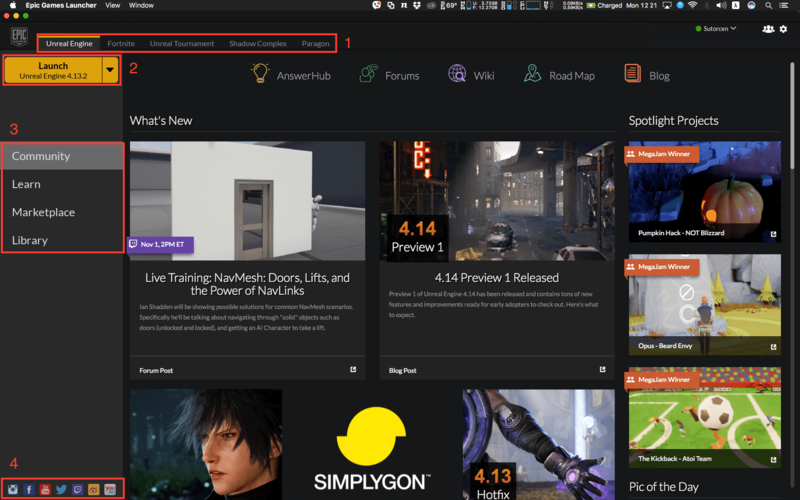 Once you have signed in the launcher’s window will load and the first thing that you will see, under the Unreal Engine tab , is a huge Launch button with the selected default Unreal Engine 4 version and below that the Community section  with all the latest news, tutorials and community spotlights. The tabs on the right of the Unreal Engine tab are usually games or projects that are under development by Epic Games. We’ll just focus on the Unreal Engine tab. On the bottom left are all Epic Games’ related social media icons . Before we move on to the other sections of the launcher we will take a look at the top right icons. The first one you see, the one with a green dot in front of it is your Epic Account username. 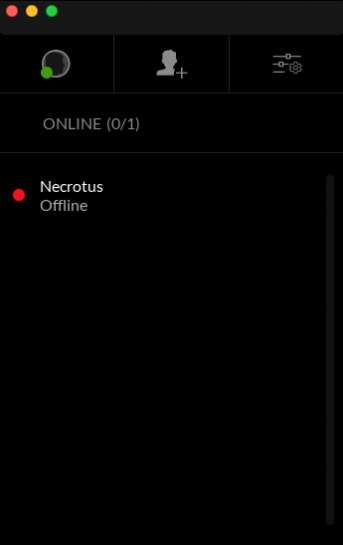 The green dot means you are online and connected to the Epic Games’ servers, a brown dot means you are online but away and a red dot means you are offline. From here you can set your online status to Online or Away. 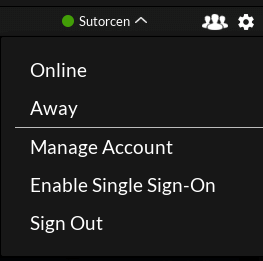 You can manage your account. 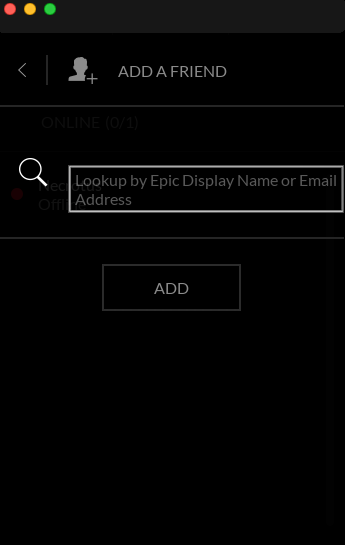 Enable or disable the auto sign in when you launch the Epic Games Launcher. Lastly you can sign out. Next to that and on the right is the Friends icon. If you click it the friends panel will pop up. 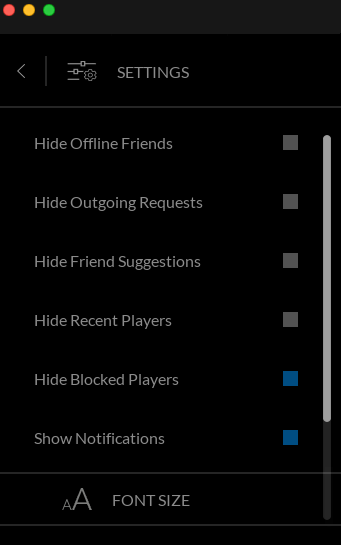 Here you can see who of your friends are online or add a new friend. You can also change the settings of that panel including font sizes. Next stop is the Learn section. Here you’ll find a plethora of tutorials, videos, past streams and sample projects created by Epic Games or the community. They are designed to teach you everything from the very basic concepts to advanced programming. We will use this section since we will be downloading most of the projects available here. The third section is the Marketplace. 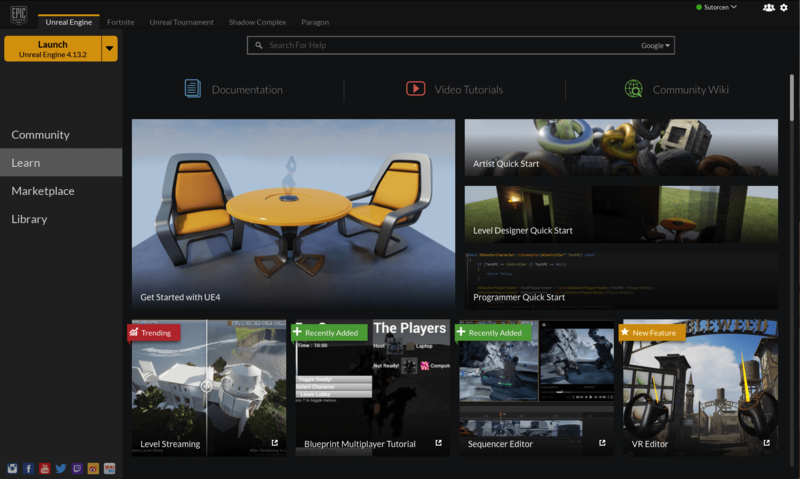 Here you can find community-created content such as Blueprints, full-scale environments, props, characters, sounds, materials, animated meshes, prefab C++ code and more. One of the best things available on the Unreal Engine Marketplace are the 7,600 assets from the Infinity Blade series. 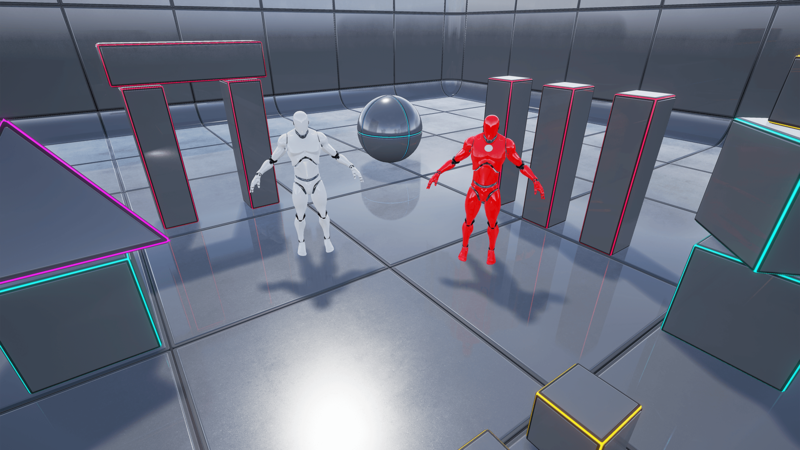 Another thing are the tech demos Epic Games has created and released to the public. All these are given to you for free to do as you please. Thanks Epic Games. Finally we have reached the section we will use the most, the Library. 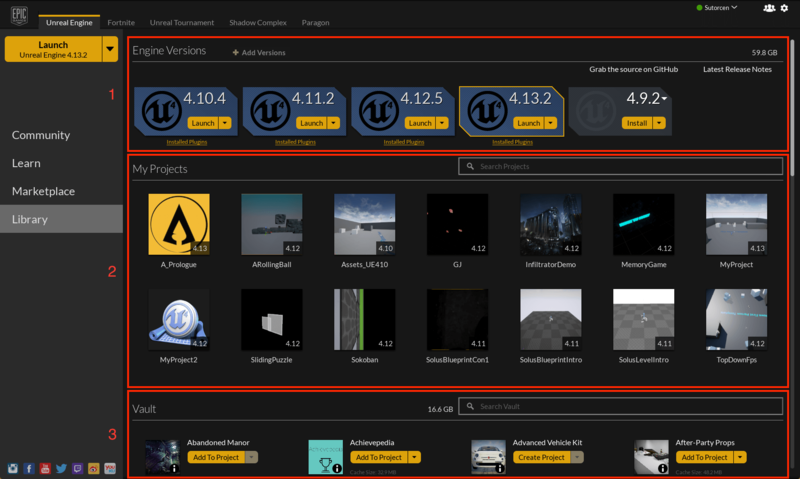 Here you can see the Unreal Engine 4 versions you have installed , the projects you have created  and your Vault where the assets you have downloaded form the Unreal Marketplace will be placed . All these categories are empty for now but we will fix that next. 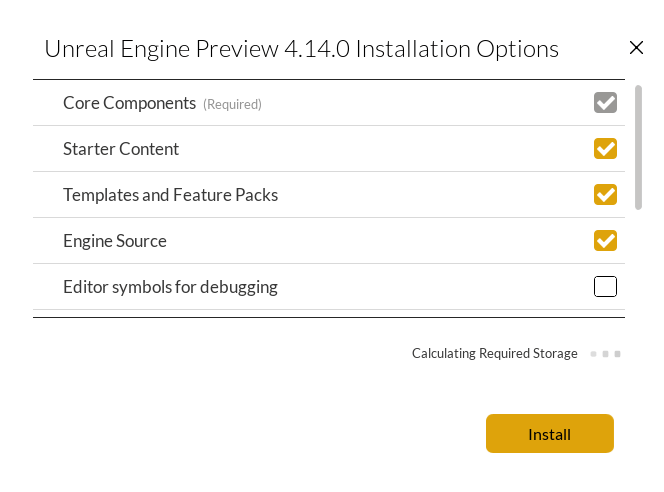 On the top of the Library window next to Engine Versions is a button that reads + Add Versions , go ahead and click it. It will turn gray and a gray Unreal Logo with a number next to it will appear in the area underneath . That number represents the Unreal Engine 4 version that will be installed. It will usually display the latest available version, which at the time of writing this tutorial, is 4.13.2. If you need a different version you can click on the small white triangle next to that number. 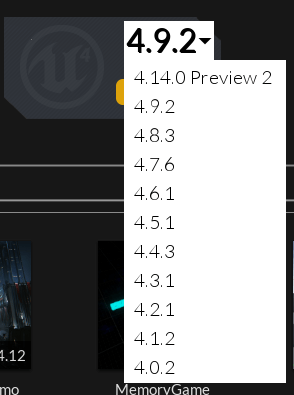 A drop down menu will appear displaying all versions of Unreal Engine 4 that have ever been released. Preview versions, when available, will also be displayed there. Keep in mind that each version takes around 17 GBs of disk space. For now will will be downloading the latest version. Click anywhere outside the drop down menu to close it and click the Install button. A prompt will pop up asking you to select which components of Unreal Engine 4 you want to install and how much space the installation will take. For now we will select everything and click install. Once you do that the Unreal Logo will change and display a Pause symbol and the download progress. Also a new icon will appear at the top right that shows your pending tasks. Clicking it shows you which tasks exactly are pending, completion percentage and the option to pause or cancel a task. Bear in mind that the Epic Games Launcher does not perform tasks simultaneously. If you want to download many things but one of them is urgent, make sure to start that task first. Depending on your download speed this might take a while. Now is a good time for you to make some hot chocolate or coffee. Once the download is complete the icon will turn blue and the button will read Launch. If for some reason you want to remove a version of Unreal Engine 4 all you have to do is hover over the Unreal logo and click on the small gray X in the top left. A prompt will appear asking you to confirm that you want to uninstall Unreal Engine 4 from your system. Click uninstall if you want to do that or cancel well to… cancel and go back to the Epic Games Launcher. Next to the Launch button there is a small arrow. Clicking it will show a drop down menu. Options brings up the Installation Options of that Unreal Engine 4 version, in case you want to add or remove components from it. Set Current sets the currently selected version as the default version that will appear in the main Launch button located in the top left of the Epic Games Launcher window. 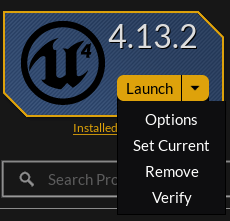 Remove uninstalls that Unreal Engine 4 version from your system, same as the small X button we clicked earlier. Verify checks the integrity of that installed Unreal Engine 4 version and if needed downloads files to repair the installation. Lastly underneath the Unreal logo is a small link that reads Installed Plugins. Unreal Engine 4 supports a plethora of plugins and here is where you can see what is installed. For now we will use only the provided Substance plugin. Congratulations you have successfully installed Unreal Engine 4 on your system. In our next post we will download the Source version of Unreal Engine 4 and compile it. Until then, take care. Next tutorial: Downloading and compiling the Unreal Engine source code.